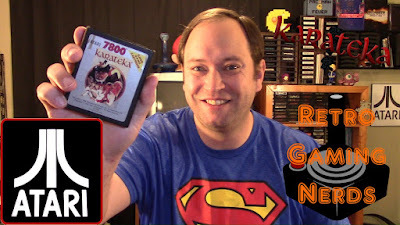 Princess Mariko has been kidnapped by Akuma, and it is up to Eric to become the ultimate Karateka to rescue her on the Atari 7800 version of Karateka! Karateka is a 1984 martial arts action game by Jordan Mechner, and was his first published game, created while attending Yale University. It was originally programmed for the Apple II, then widely ported. The game was published in North America by Brøderbund, and in Europe by Ariolasoft. Along with Karate Champ (1984) and Yie-Ar Kung Fu (1985), Karateka established the basis of the modern fighting game.